Established in 1925 in Ravenna, Rosetti Marino is a leading player in the construction of commercial ships for the oil and gas industry. To date, it has delivered 119 offshore vessels ranging from ocean-going tugs and platform supply vessels to passenger ferries. Quoted on the Milan stock exhange and comprising 18 companies, the Group registered a turnover in excess of €213 million in 2016. As we all know, however, a commercial ship is a very different proposition from a luxury superyacht. 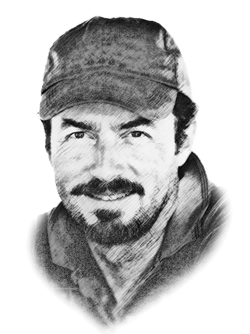 Enter Fulvio Dodich, a veteran executive in the superyacht industry who has held top management positions with brands such as Ferretti and Sanlorenzo. 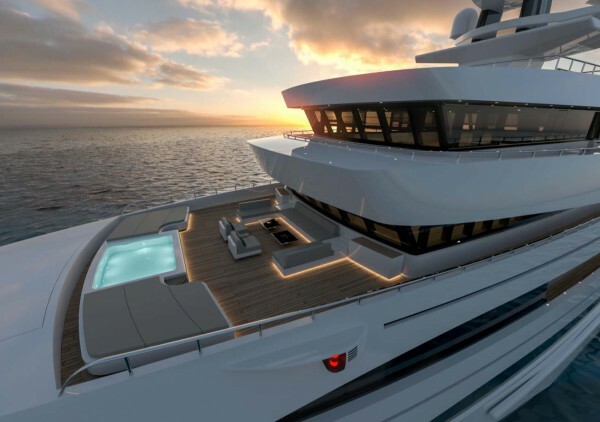 As partner and chairman of Rosetti Superyachts, he has a 10% stake in the new yacht-building division and is tasked with matching the Group's engineering know-how with the high expectations of superyacht owners. 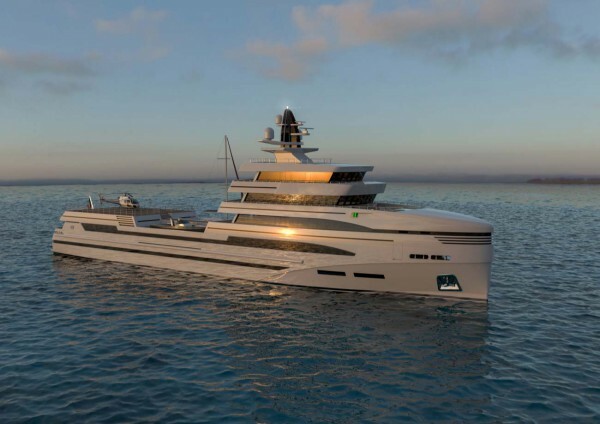 “We took the decision to launch this initiative based on Rosetti Marino’s remarkable experience, solid financial background and exceptional facilities to create a series of high-level superyachts with semi-custom or fully customisable identities, as well as providing technical excellence and innovative solutions,” says Dodich, who is from Ravenna. 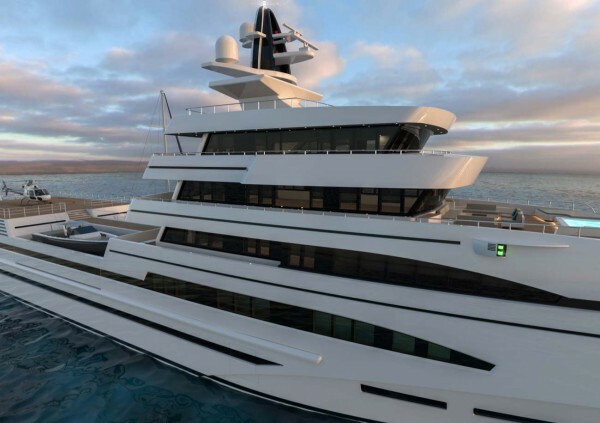 Rosetti Superyachts is in the process of developing a range of classic superyachts, long-range supply vessels and expedition yachts, starting with a fleet of concepts from 48m to 85m designed by Tommaso Spadolini. The first of these is an 85m expedition supply vessel of 2,200GT powered by four MTU (2140 kWe each) engines with Rolls Royce propulsion systems. 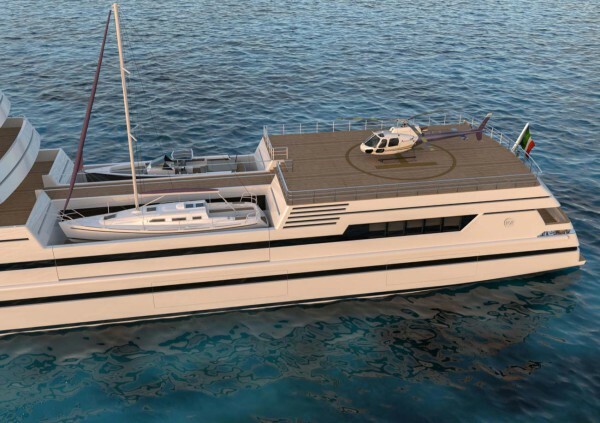 Available in two deck arrangements with central or aft helipad and accommodation for 12 guests, the renders (above) reveal the version with a fully certified helicopter deck above a dedicated owner’s area aft. 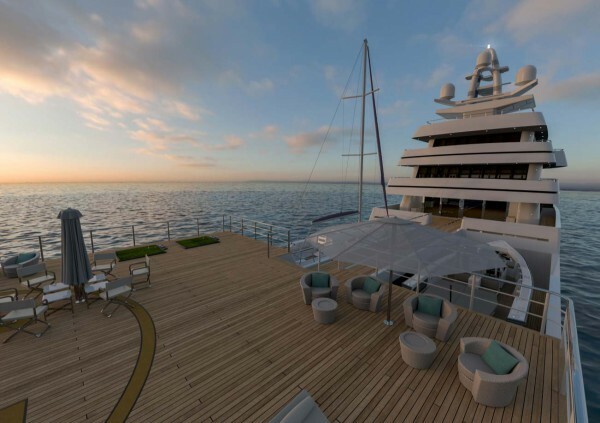 The helipad and forward superstructure are connected by a central gangway with deck space in between for storing large tenders and toys. 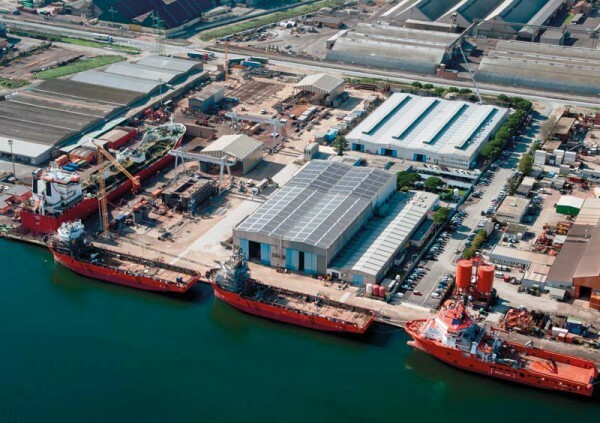 In terms of facilities, its San Vitale shipyard in Ravenna (pictured) covers a total area of 64,700 sq/m with a covered surface of 17,000 sq/m, including two construction sheds of 25mx100m each, plus a dry dock of 160mx25m and a 175m of quayside with a draft of 7.5m draft. 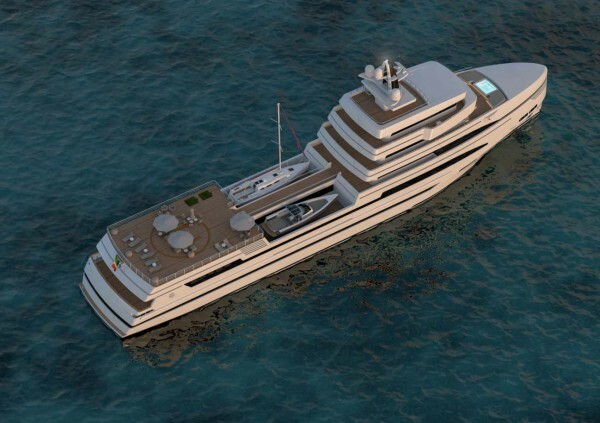 Dodich is already in advanced negotiations with prospective owners for the 85m and other projects. Further details will be revealed during a press conference at the end of November.